A team of CW3E postdocs, students, staff, and collaborators headed to Northern California on Sunday, 7 January to begin the winter 2018 fieldwork campaign. 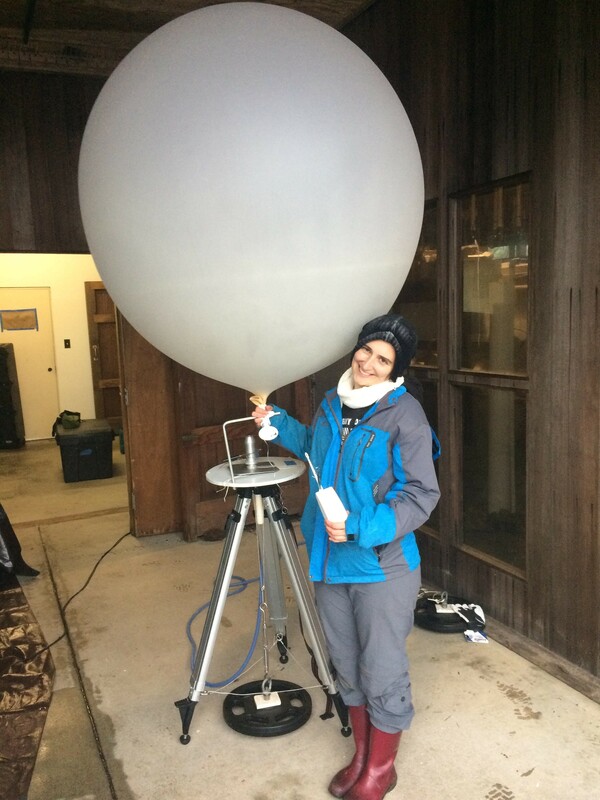 Throughout this winter season, CW3E plans to release radiosondes, conduct stream surveys, and collect isotope samples. The campaign aims to continue efforts in understanding atmospheric rivers (ARs) and their impacts on the Russian River Watershed. In support of the Forecast Informed Reservoir Operation (FIRO), hydrometeorological data from the campaign will be used to enhance water resources and flood control operations. 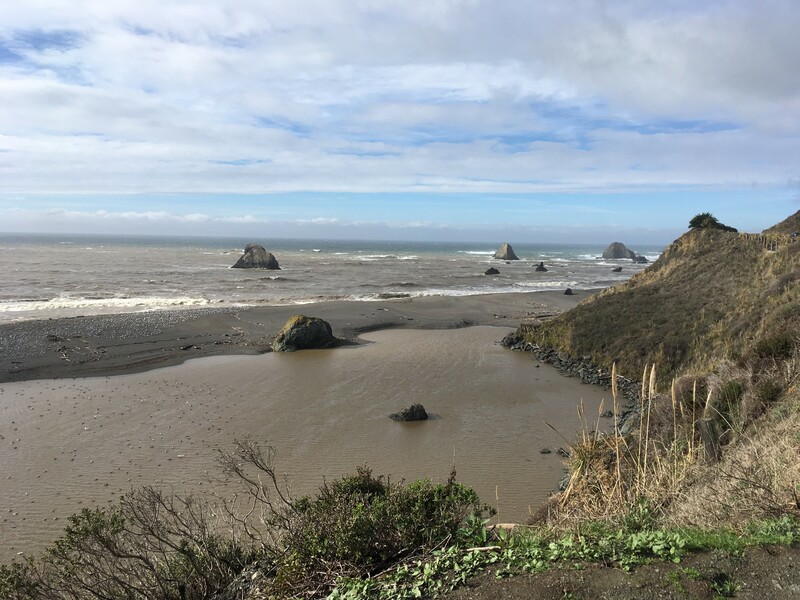 The team is launching from two sites: a coastal site, the UC Davis Bodega Bay Marine Laboratory and an inland site in Ukiah, CA, southwest of Lake Mendocino. These launches are being shared with National Weather Service Weather Forecast Offices in Eureka, Sacramento, and Monterey. Peak launches recorded 511 units integrated water vapor transport (IVT) at Bodega Bay (0000Z 9 January 2018) and 389 units IVT at Ukiah (2100Z 8 January 2018). 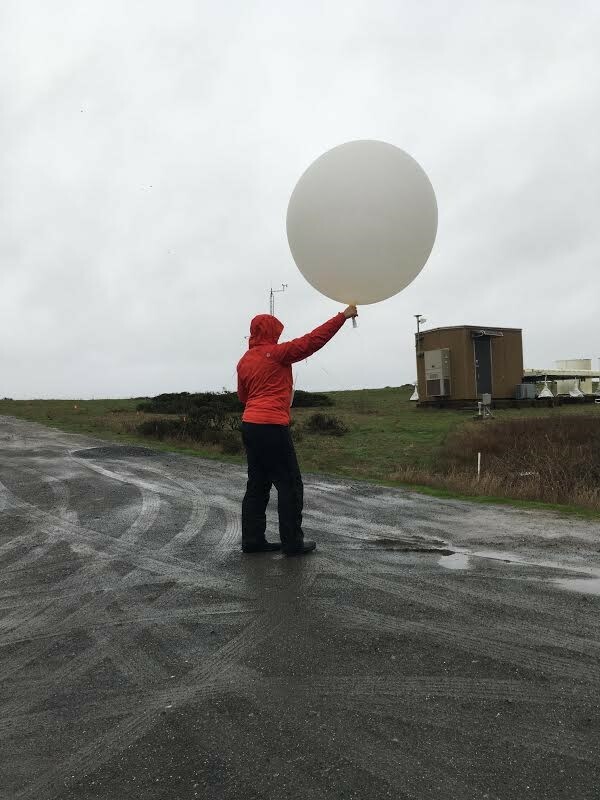 A radiosonde launch completed in Bodega Bay (0259Z 9 January 2018) shows a sounding with typical AR conditions. Photograph taken at the mouth of the Russian River after the storm. Other members of the team have been working on stream installations and measurements, along with isotope sampling. Working with the Sonoma County Water Agency (SCWA), CW3E has begun inventorying supplies to continue using the stream gauges that were installed during the previous fieldwork season. They have completed discharge measurements at five of the six streams where gauges are deployed, and will complete measurements at the remaining site today. 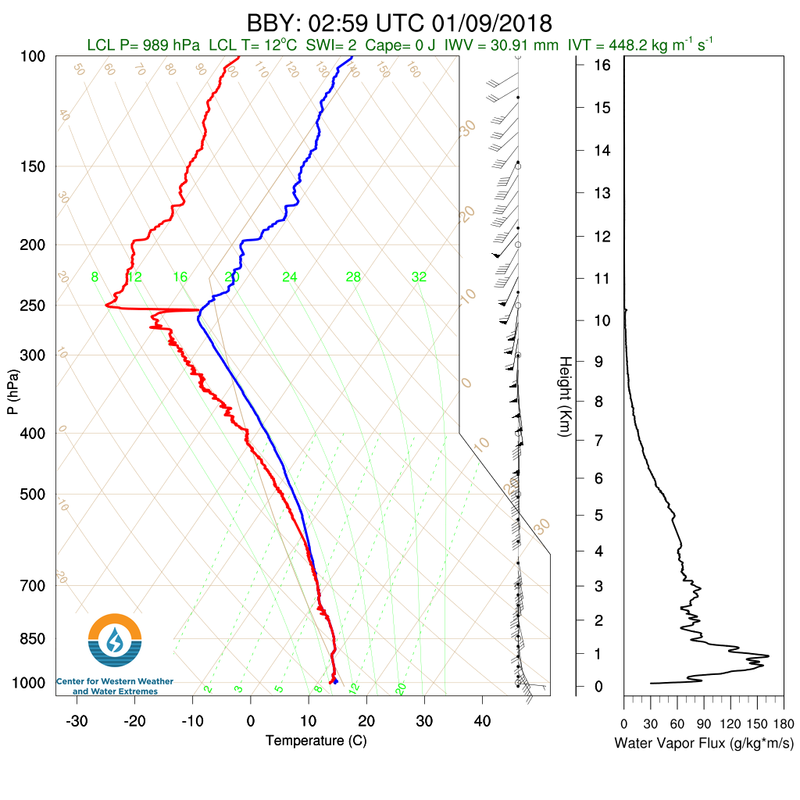 The team will continue collecting data and releasing radiosondes throughout this event with plans to return to sample ARs as they occur in the coming months. CW3E will also be partnering with NOAA and the U.S. Air Force, as part of the field campaign, for a series of Reconnaissance (Recon) flights into AR events. The AR Recon missions will start on 25 January, and continue through 28 February. In addition to the NOAA G-IV aircraft, flying out of Seattle for three storms, the campaign will also include two Air Force C-130s that will fly through a total of six storms, overlapping with the NOAA G-IV for three storms. These flights are a valuable method in improving the forecasting of AR conditions offshore and can provide enhanced prediction of AR landfall duration and intensity.